There’s just something about smaller-than-normal houses that brings out the kid in all of us. 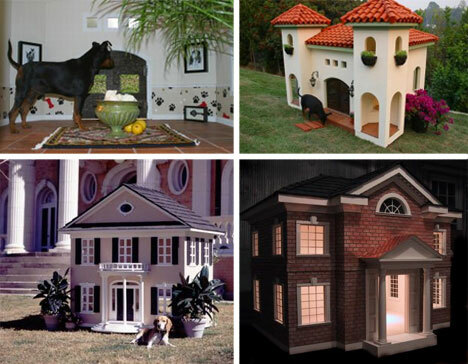 Whether you’re spoiling your kids with a crazy doll house or pampering your pooch with a luxurious doghouse, these little versions of real houses are enough to keep you going “Awwww” for hours. 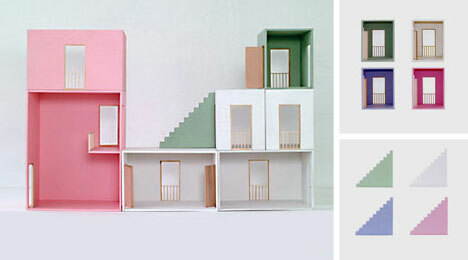 The Hase Weiss doll house is perfect for budding designers or kids who just can’t make up their minds. The pieces are all sold separately, so you can make up new combinations of big rooms, small rooms and stairs to make a totally unique doll house every time. If you just can’t stand to be away from your dog or see him panting in the summer heat, the Cool Pet House is here to help. 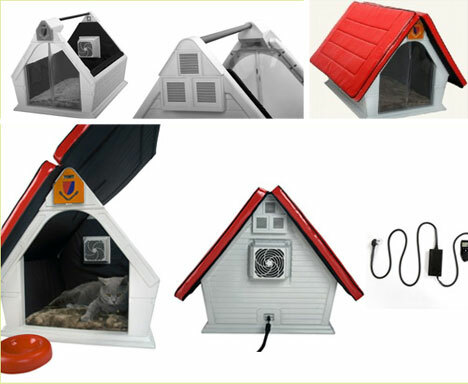 It’s a little air conditioned pet house with its own working lights and a wireless webcam. See if you can get any work done when you’re able to watch your cute little puppy sleeping all day thanks to the constant video feed directly to your computer. For kids who are more interested in Gehry and Ban than Barbie and Ken, there’s this high-style doll house. 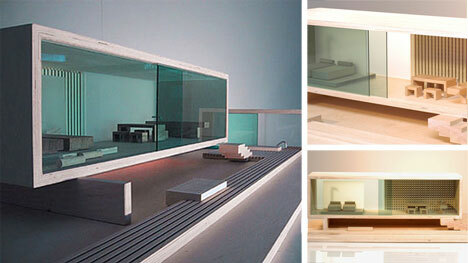 The Villa Sibis is made of birch wood and features removable plexi-glass front and back pieces. The tiny modern artists who live inside must be thrilled. Ok, so this doll house isn’t exactly “smaller than normal,” but it’s too good not to mention. 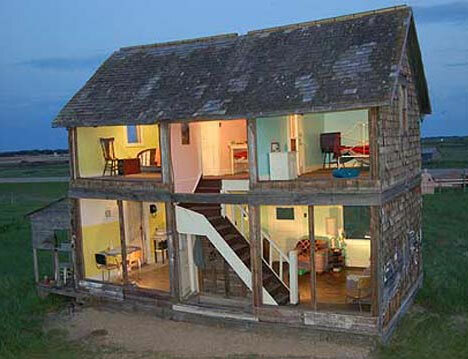 Canadian artist Heather Benning took an old abandoned farmhouse and turned it into this beautiful life-size doll house. She protected her creation with plexi-glass and left it there as an art installation. If you’ve got large piles of cash just burning a hole in your pocket, you would always blow about $31,000 on a ridiculously expensive house for your dog. 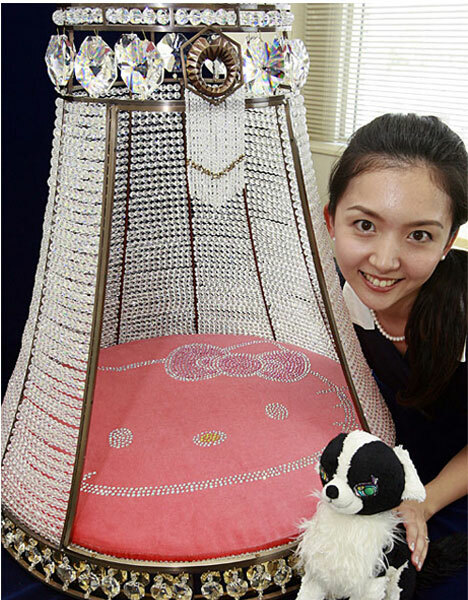 Like this Hello Kitty monstrosity that’s dripping with crystal beads and bad taste. Or you could take that cash on down to FAO Schwartz, where you can spend at least $10,000 having your home replicated and made into a doll house. 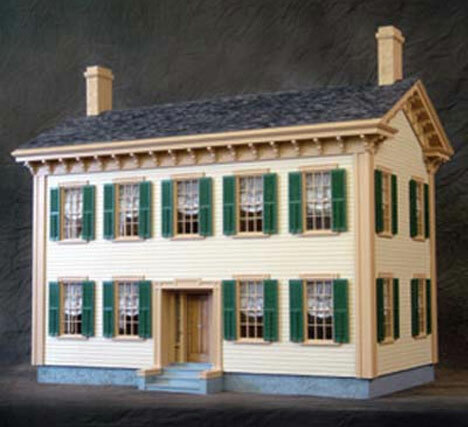 Included in your purchase is a visit from a team who will come inside the house to observe and record everything in it to make sure their scaled-down model is perfect. And since you’re spending as much as a down payment on a real house, it should be perfect. How many times has your dog told you that he could really use his own space? Give him all the space he needs with one of these custom dog houses. They include window treatments, wall and floor coverings, and climate control. Your dog might have to get a job to pay for it, though: they start at $5,500.